Types Of Cosmetic Surgery Malpractice | Kurzban Kurzban, Tetzeli, & Pratt P.A. Medical Malpractice Attorney in Hawaii knows the severity of injuries due to medical malpractice. Our attorneys promise to get the job done with empathy and efficiency. Start by calling 808-800-2445. We all want to look our best. Everyday we are bombarded with advertisements, pictures, movies, and shows that show people with perfect bodies receiving love and attention. Is it really our fault for wanting to be the same way? The choice to do cosmetic surgery is deeply personal and should be done after much self-reflection. Those who choose to commit to cosmetic surgery think that by walking into an official looking building where people where doctor and nurse outfits, that they are being treated by professional fully licensed individuals in the field of cosmetic surgery. Unfortunately, just like online dating sites, you can look the part, but the reality is that person is not who they say they are. Living in the great state of Hawaii with the beautiful weather and affinity for water sports, it is reasonable for people to want look their best physically. We know that as we age our bodies start to change and sometimes we need a little help to get us looking the way we think we should look in our heads; the way we want to look to keep us happy. The most common cosmetic surgeries are liposuction, breast augmentation, blepharoplasty (eyelid reshaping), abdominoplasty (tummy tuck), breast reduction, rhinoplasty (nose reshape), rhytidectomy (facelift), breast lift, forehead lift, and gynecomastia treatment (reduce male breast tissue). From this list, we can see that not all cosmetic surgery is geared toward woman. 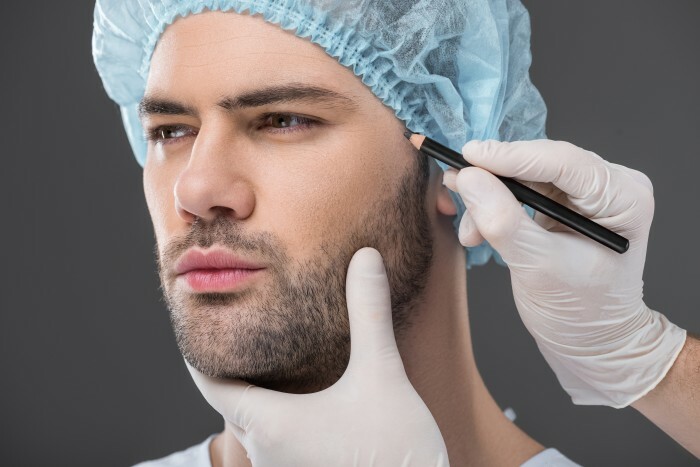 Even though women are still the overwhelming gender to get cosmetic surgery (92%), there is a growing percentage of men getting cosmetic surgery. Men’s top choices are rhinoplasty (nose reshaping), eyelid surgery, liposuction, breast reduction, and hair transplantation. Why are men trending more to these cosmetic surgeries? Some blame on high social pressures for men to look a certain way while other think that men are undergoing lower self-esteem due to social pressures. Again, choosing cosmetic surgery is deeply personal, but regardless of your reason, if you are choosing to have surgery then you are entitled to have safe surgery with medical professionals. Cosmetic Surgery Malpractice is when a team of professionals mask themselves as medically accredited doctors and/or they aren’t performing according to the state’s mandated standard of care. These facilities without licenses or those who are not adhering to the standard of care are enacting malpractice. Typically this malpractice will result in devastating injuries to you. Our Medical Malpractice Attorney in Hawaii know the severity of injuries due to medical malpractice. Our Medical Malpractice Attorneys at Kurzban, Kurzban, Tetzeli, & Pratt P.A. in Hawaii know how to evaluate a clients case, investigate the situation, and seek medical experts to prove that your pain was caused by medical malpractice. Do not hesitate to call. You action can be the saving of someone else. No one should go through the pain that you went through. Our Medical Malpractice Attorneys promise to get the job done with empathy and efficiency. Start by calling 808-800-2445 or click here to start on your journey to justice.